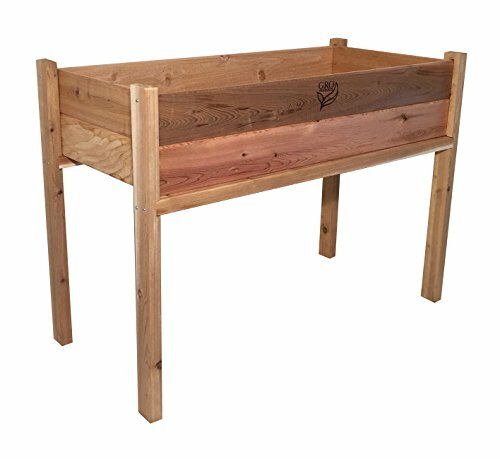 Easy to assemble, the Elevated Garden Planter from GRO Products is constructed with Western Red Cedar, is pre-drilled, pre-cut and all fastening hardware included. Place landscape fabric in the bottom of the bed, then add your soil and you are ready to plant your vegetable, herb, or flower garden. Measures 38 by 24 by 34 inches. A family owned and operated business, GRO Products manufactures all its quality products in the USA. Please click on the Gro link at the top of this page to learn more about Gro Products.